The Minor Court of Queen Silvia LXXX has been selected and announced by Mountain State Forest Festival Director General Scott Goddard and Queen’s Department Director Peggy Phillips. 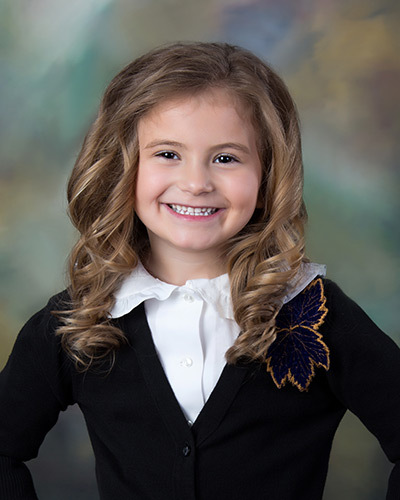 Representing the 80th royal Minor Court will be Crown Bearer Gabrielle June Dempsey, Scepter Bearer Emma Claire Pingley, Flower Girls Ava Marjory Barger, Raighan Talor Hall Carte, Madalynn Elizabeth Ferguson, Rachel Ott Shryock and Train Bearers Aiden Matthew Lowther and Joel Michael Plishka. Crown Bearer Gabrielle June Dempsey is the daughter of Bill and Melanie Dempsey of Valley Bend. She is the granddaughter of David Dempsey of St. Albans, Debra Dempsey of Charleston, and the late Charles Carroll and Evelyn Carroll of Quinwood. She has one sister, Caitlynn. Gabrielle will be in the first grade in the fall at Jennings Randolph Elementary. 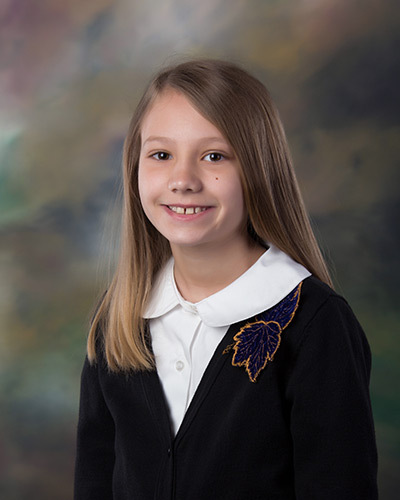 Crown Bearer Gabrielle participates in Seneca Soccer, Axis Studio dance and is a Girl Scout Daisy. Gabrielle is a member of the Valley Bend Presbyterian Church. Scepter Bearer Emma Claire Pingley is the daughter of Jamie Pingley and Drew Pingley, both of Elkins. She is the granddaughter of Connie and David Pingley and Julie Schoonover, all of Elkins. Emma will be in the kindergarten at Midland Elementary in the fall. 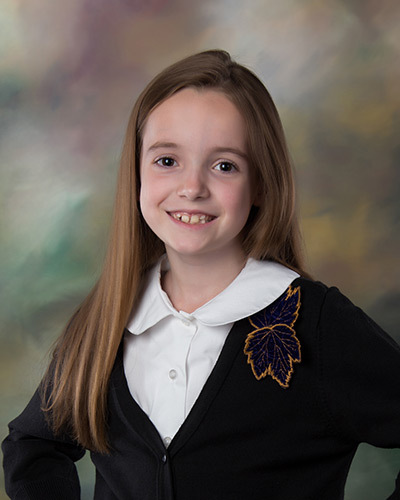 Scepter Bearer Emma enjoys playing soccer, reading, singing, playing the guitar, and taking care of her dogs. Flower Girl Ava Marjory Barger is the daughter of John and Kate Barger of Elkins. She is the granddaughter of Larry and Beth Barger, Marge Moses and Dr. Robert Rose and the late Read Carney, all of Elkins. Ava has one brother, Dyer. 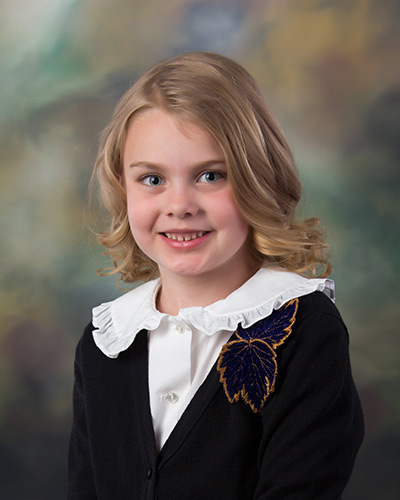 Flower Girl Barger will be a fourth grade student at Beverly Elementary this fall. 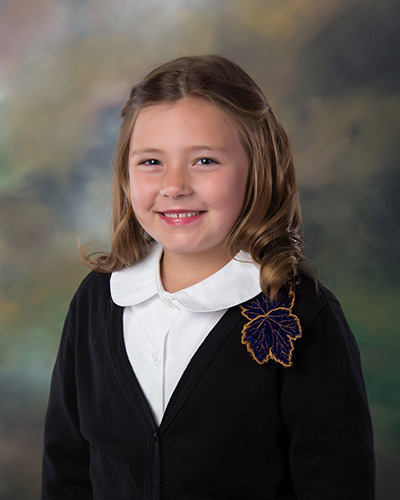 Ava is a member of Alliance Community Fellowship church where she participates in the Awana’s club and Bible Quizzing. She attends tumble time gymnastics as well as classes through the Community Arts Center. Ava likes helping her mom bake and going fishing with her dad. She enjoys riding her bike, swimming, gymnastics, painting, and spending time with friends and family. Flower Girl Raighan Talor Hall Carte is the daughter of John W. Carte II and Heather Hall of Montrose. She is the granddaughter of John Carte of Vienna and Eric and Rebecca Hall of Glenwood. She has one sister, Kenadi. Flower Girl Carte will be in the third grade this fall at North Elementary. Raighan swims with the Elkins Otters Swim Team. She attends Mercy Chapel UMC youth group program, as well as takes classes through the Community Arts Center. She also attends the Old Brick Playhouse Summer Camp program. 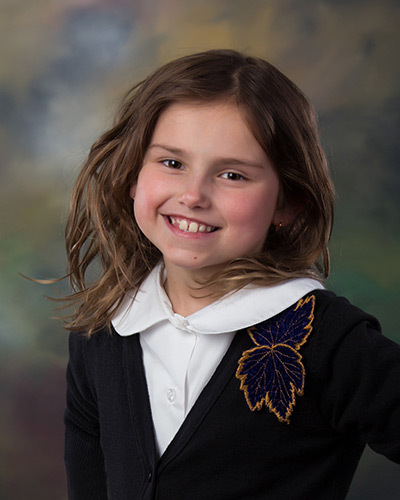 Raighan enjoys swimming, arts and crafts, and playing with her younger sister Kenadi. Flower Girl Madalynn Elizabeth Ferguson is the daughter of Hoy and Teresa Ferguson of Elkins. She is the granddaughter of H. Lynn and Laura Ferguson of Elkins and Robert and Patty Mayo of Williamstown. Madalynn will be in the fourth grade this fall at Midland Elementary. She is a member of the West Virginia Highland Dancers and participates in Seneca Soccer and the Old Brick Playhouse. She is a member of Saint Brendan’s Catholic Church. Flower Girl Rachel Ott Shryock is the daughter of Richard W. Shyrock Jr. and Hillary Shryock of Elkins. She is the granddaughter of the late Richard W. Shryock and the late Susan Shryock of McLean, VA and the late David Cederberg and Rita Cederberg of Elkins, WV. Rachel has one brother, Richard H. Shyrock, II. Flower Girl Shryock will be in the fifth grade at Jennings Randolph Elementary this fall. She swims with the RAYS YMCA Swim Team and the Elkins Otters Swim Team. She is an active member of the Davis Memorial Presbyterian Church. Rachel enjoys skiing, bike riding, and volunteering at the Randolph County Humane Society. Train Bearer Aidan Matthew Lowther is the son of Christopher Lowther and Jenna Jeffries Lowther of Elkins. He is the grandson of Brenda Pritt of Elkins and Harry Jeffries of Morgantown and the great grandson of the late Vernon and Thelma Lowther of Elkins. Train Bearer Lowther will be in the third grade at Third Ward Elementary this fall. Aidan participates in minor league baseball and is a member of the Cub Scout Pack 88 where he is a wolf. He attends First Baptist Church in Elkins. 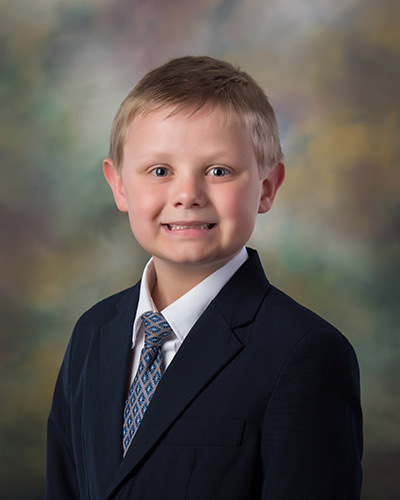 Aidan enjoys fishing, camping, playing baseball, and reading. Train Bearer Joel Michael Plishka is the son of John and Erika Plishka of Elkins. He is the grandson of the late John and Frances Plishka of Smithfield, PA and Francis and Yvonne Tait of Morgantown, WV. Joel has two sisters, Cassie and Lydia. 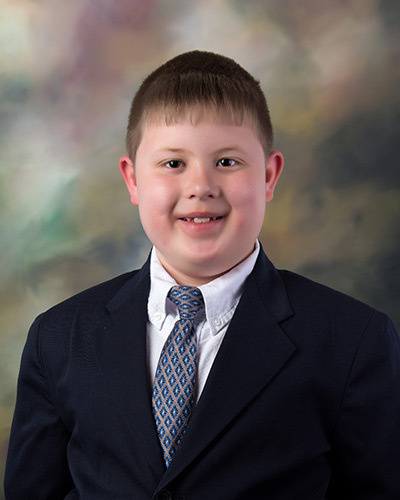 Joel attends the Rivers of Living Waters Church and is a member of the Mount Vernon Colonials 4-H club. Joel also participates in Upward Bound basketball. He enjoys swimming, camping, boating, riding his mini-bike, bowling, playing X-Box One, and spending time with his family and his dog, Zora. © 2019 Mountain State Forest Festival.